An elegant pair of fifties (?) art deco (?) 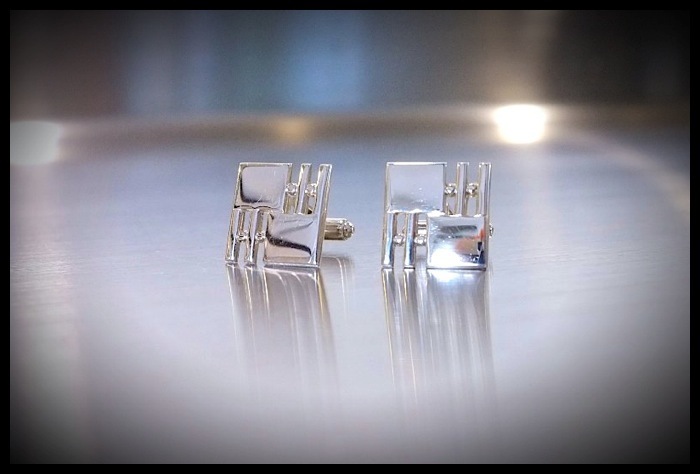 cufflinks. Holy macaroni! 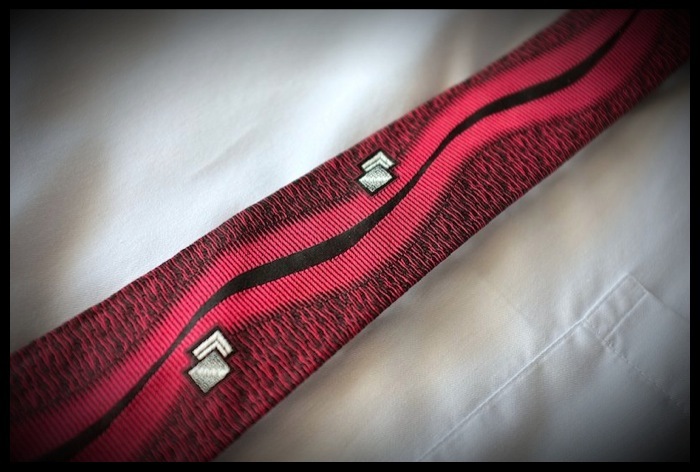 Is this tie amazing or is it amazing? My answer: TOTALLY AMAZING. The Art Deco design is striking and dramatic. Unfortunately, and unbelievably: no label. 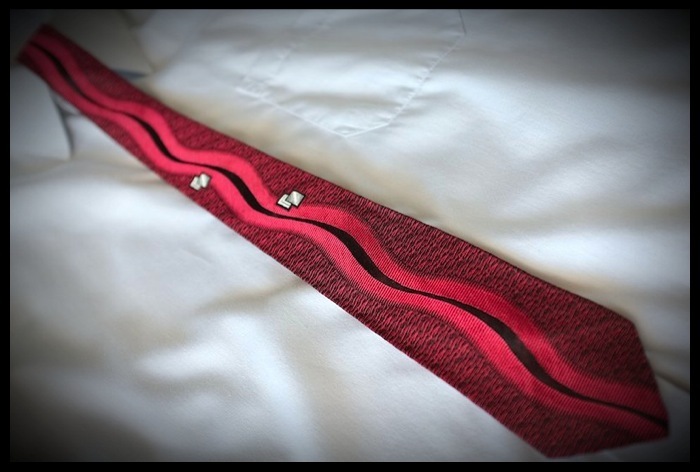 The perfect cuffs to go with this tie: These.